The American Freedom Fighters are a group of terrorists that had grown tired of President Bush’s time as the President of the United States. 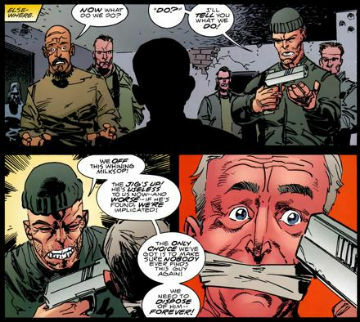 They abducted the President which allowed the super villain known as Impostor (a presumed member of the American Freedom Fighters) to disguise himself as Bush and take on his role. This scheme was exposed by Dragon who led the Liberty League in defeating the terrorists and releasing President Bush.